Room number three is the smallest, but surely our most cosy room. 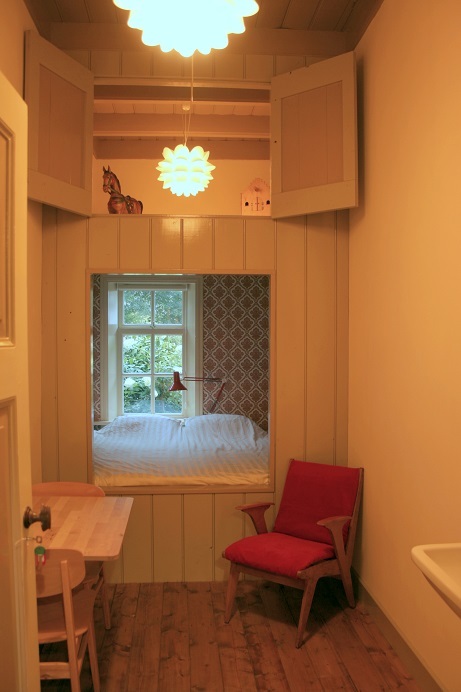 Here you’ll sleep in a Dutch cupboard bed(160x200cm). In front of the bed there’s a table with two chairs and a handbasin with a mirror. If you want to sit a bit more relaxed, you can sit in a relax chair. 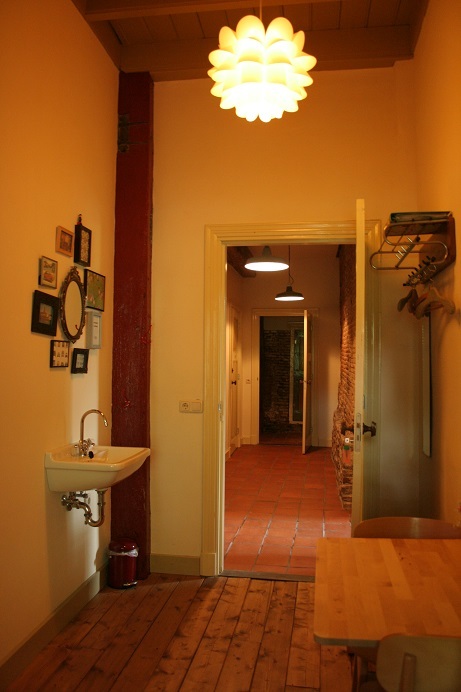 In this room you’ll find information about the area, restaurants and things to do.